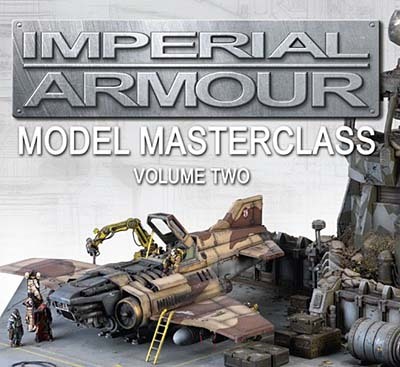 Forge World recently sent out their normal email announcing the next Forge World Masterclass book is available. I can tell you that I picked up the first one when it came out and while it doesn't have a ton of projects in it, the few that are in there are really in-depth. It's a different kind of book. It's not like it goes over something real quick. You could spend a good deal of time on one project working on one aspect of it until you figured it out and had the results you wanted. Fast paced is not what I would call it and that's a good thing. I suspect this book is similar. Quality over quantity you could say. None of it is earth shattering stuff, but they are a bit more advanced techniques. I enjoy these books because they get into the process a bit more than I do on the blog here most of the time. I've only come close once with really getting into a technique and that was with Object Source Lighting. It's interesting to see how something so small can balloon into something so big (5 posts already). Not that I'm any "master" painter, but it's amazing the stuff you can learn by reading something above your skill level. Even as you pick away at the edges and try the stuff you understand and have the tools for, you learn new things. I'm looking forward to getting a copy of this new book as well to see what the guys did in this one. I enjoy thumbing through the first one as it seems like I always find something new hidden in there each time I look through it or something else jumps out at me that I missed before. I loved the first book, it was what i was looking for, a book about tackling advanced techniques so you can see how some of these skills are used. Its always the hardest part, improving when you have reached a decent level of competence, May have a cheeky order of this in the week. Ahem, what I mean to say is, you're a fantastic painter who has helped me to improve immensely. Richard Rose: That's true, once you get your skills where you're comfortable, it can be tough to get over that and try something new sometimes. Fuzzbucket: I can tell you I've made more mistakes than good models. I just keep at it. Krisken: Me? Thanks! You guys provide a tremendous amount of inspiration for me. It's everyone else who pushes me to try the new things I do. I really enjoyed the first book, I know it pushed some ideas and methods that I had been playing at. Hopefully I can get my hands on this copy too! That was the book that started me on my way. Before that book I only used GW acrylic. They had a section where it showed the tools they used and there was much more than GW there. That book was the first place I saw MIG powders. Discovered using oil paint for rust. The big thing though was it the back it said they were all AFV guys in thier spare time. Then I looked into AFV and discovered a whole new way of painting and modeling. I picked up one of these at Adepticon. Unfortunately for most, FW only had brought 12 copies to sell. I'm glad to see that they are ready to have these available for mass distribution. 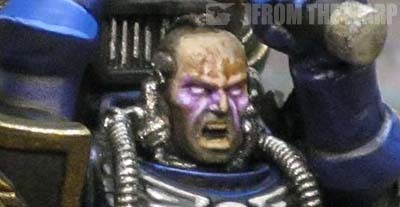 I've started painting with an airbrush recently, and are some good pointers that I will try out. 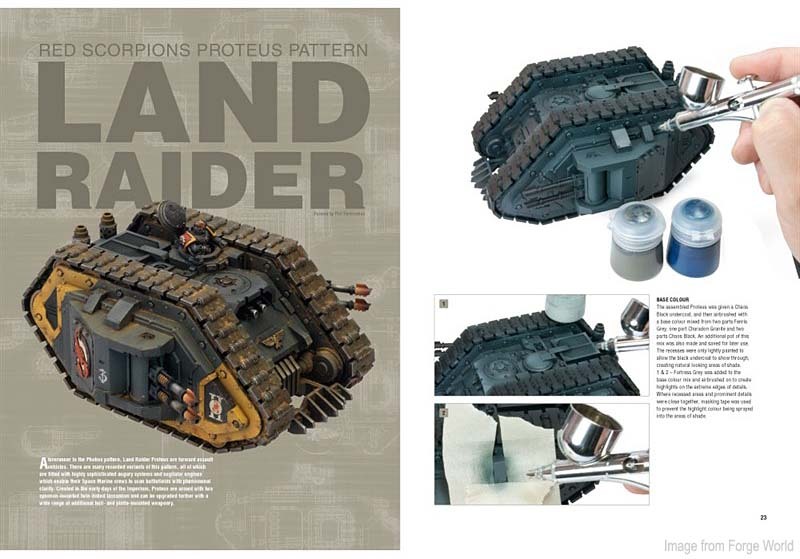 I haven't painted with oils yet, so I'm glad they included using Citadel washes for weathering, which differs from Vol 1. There is also an entire section on how to use their weathering powders (which works for all others I'm sure). I'm still digesting the book. It is awesome to have the large format and blow-ups in high res to see the fine craftsmanship of modeling and painting. It is like a museum book, which motivates me to try new techniques while still leaving me in awe of what artisans can achieve. 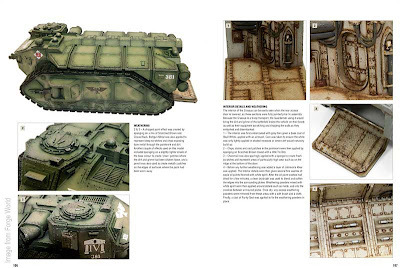 I'm not interested in the other IA books, but I can see why people collect them because forgeworld sure knows how to put out a quality book. Highly recommended, just like volume 1. Looks like they finally caught onto color modulation for armor. You will like this one Ron. I missed the release date for it and now I must wait a long while before I can order the new one, but the first one was so much good material that I simple love it. Now I'm really excited to get my hands on a copy of it. I want to start airbrushing in the future and maybe incorporate oils into my work as well. There's just so much that can be done with the stuff I already have that adding somethign new seems a bit daunting. ive been using oils for while, ive not quite got the technique perfected yet but its interesting. for my charadons ive been using burnt umber ink to weather the vents on marine backpacks and also around chainswords and it gives a really good worn rusted look. i got my copy of modelling masterclass on sat and its good. the titan paint tutorials are amazing and the processes for yellow and the processes for scroll work and banded brass are brilliant too. some great ideas just like the first volume. Gav Conway: As if I wasn't excited enough already to get mine. Michael: Point well taken. There's always the official GW conversion chart though right?